When it comes to OS issues SAP Basis people usually tend to access directly OS level of SAP server in order to investigate it. This is done by different telnet like tools which provide console to the OS access. However it may be the case that OS level access is not an option because it is not provided by various reasons. 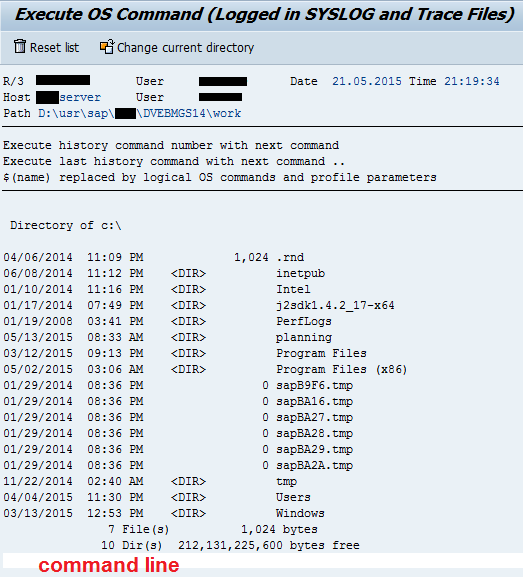 All commands ran from the report are logged into files on OS level by C command: C_WRITE_SYSLOG_ENTRY. 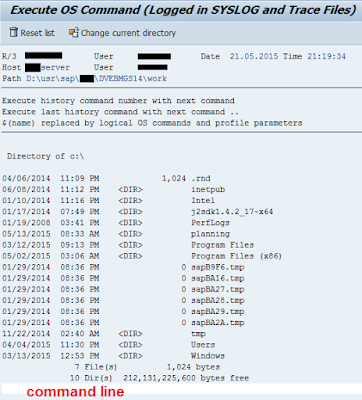 If you want to run some OS commands on automated basis then there is an option to create custom ABAP report. Such a report will run these OS commands via FM SXPG_COMMAND_EXECUTE. As a result of multiple requests, report RSBDCOS0 was activated again. This means SAP already tried to remove the report from standard SAP installations. However as per heavy pressure (as I can imagine it!) of customers they decided to give it back for usage. Better secure an access to this report! 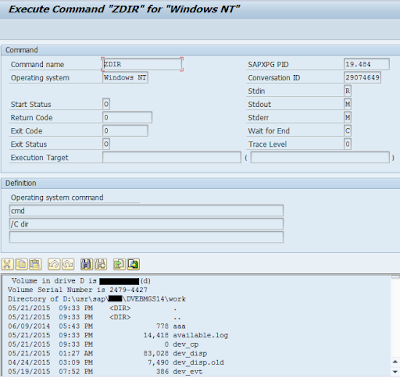 Other option to run OS command from SAP environment is to use tcode SM69. This tcode consists of commands which were setup up and can be even OS specific. It is possible to add new command as well; add additional parameters to existing commands, run commands etc.